Earlier this week I harassed my son over the weight of his backpack and insisted he reduced the books in it because it was too heavy so you can imagine my surprise when a few days later I came across this picture above. I screamed when I saw it and showed it to him and his sister and they were both shocked especially my son who felt I was just being an over protective mummy initially about the heavy back pack issue. 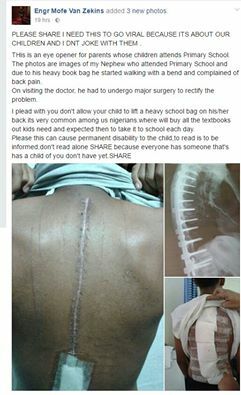 Funny enough, his excuse had initially been that it was no big deal as many children carry heavy backpacks so to him it seemed like the normal thing. 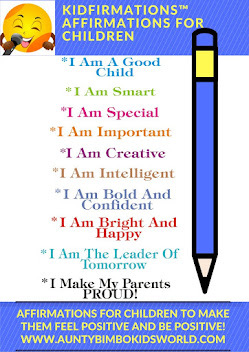 After correcting him by saying because many people do it doesn't make it right, I decided to consciously observe kids during school runs this week and I found out it is actually true hence this post. 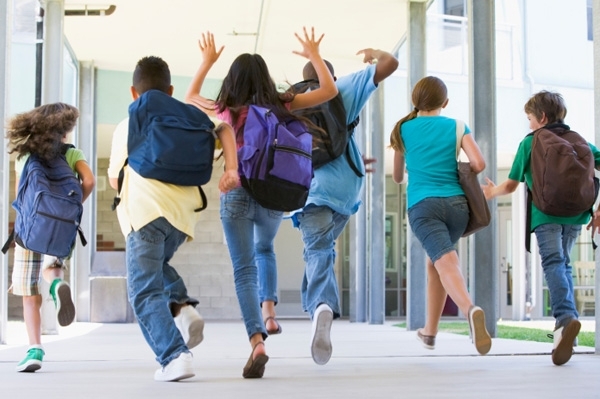 According to research, there is a weight limit and a backpack should not weigh more than 10-15 percent of a child's body weight. For example, if the average kindergartener, at 6 years old, weighs about 50 pounds, their backpack shouldn't weigh more than 7.5 pounds. 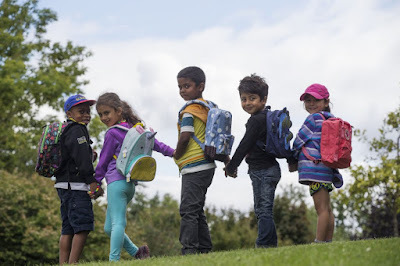 According to Safe Kids Worldwide, an organisation looking out for the safety of kids, at least 14,000 kids are treated for backpack-related injuries each year! Meanwhile in a May 2016 guide, Consumer Reports states that parents should know there is no one size fits all backpack as what fits one child best may not fit another due to different body shapes and sizes. Shoulder strap anchor points should rest 1-2 inches below the top of the shoulders, and the bottom of the backpack should align with the curve of the lower back. the bottom of the backpack should not rest more than 2-4 inches below the waistline, so you don't put your child's back at risk of injury. Asides the correct fit of the backpack, straps should be comfortable, as they help distribute the weight of the backpack to not put stress on shoulders, back and hips. Straps that are wide, padded or contoured can help better distribute the weight. 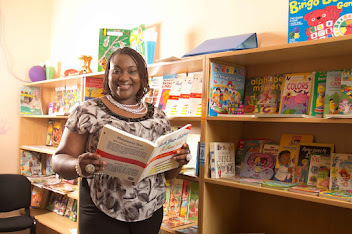 For older children who may be carrying heavier textbooks, a chest strap or waist strap can also help distribute weight better and prevent injuries. 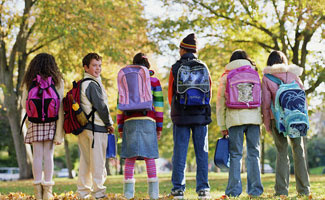 The American Academy of Pediatrics (AAP) also recommends rolling backpacks if your child must carry a heavier load. 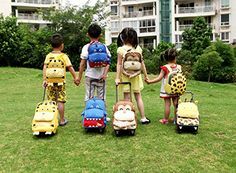 Also note that If your child doesn’t use a rolling backpack, be sure they’re always using both straps because slinging the bag over one shoulder can strain muscles and put them at risk for more serious injuries. Parents should go through their child's backpacks every week to remove items that don't need to be carried back and forth if they're not constantly in use, in order to keep the bag light. Another tip I came up with which I now use with my son is I have his school timetable so I ensure he only packs books of the subjects he has daily.